Now that the warmer temperatures are here, if you are like most homeowners, you likely have already fired up the grill and spent some time creating delicious meals for your family and friends to enjoy. With the great weather comes some outdoor fun, which can be enhanced with a custom patio or outdoor living space. However, creating full meals often means going back and forth between your grill and indoor kitchen, forcing you to miss out on some of the outdoor fun. If you are wanting to make your backyard truly functional and ready to be the primary entertaining space, there is nothing that can make a difference quite like outdoor kitchens. At Compass Outdoor Design, we specialize in designing and building beautiful and functional outdoor living spaces in Dallas, including outdoor kitchens. In today’s post, we’re going to take a deeper look at some of the benefits of outdoor kitchens. When you have an outdoor kitchen installed in your backyard or patio space, you’ll have everything that you need to create the ideal meal right next to your grill. An outdoor kitchen eliminates the need of running back and forth between the kitchen and the grill. Not only will an outdoor kitchen be worth the investment for you while you are living in your house, but it can also help to increase the value of your home when are ready to sell when it is professionally designed and installed. The more your home stands out from the others on the market, the more likely it is to catch a potential buyer’s eye. Many of the outdoor kitchens we design are done so with your unique backyard space in mind. 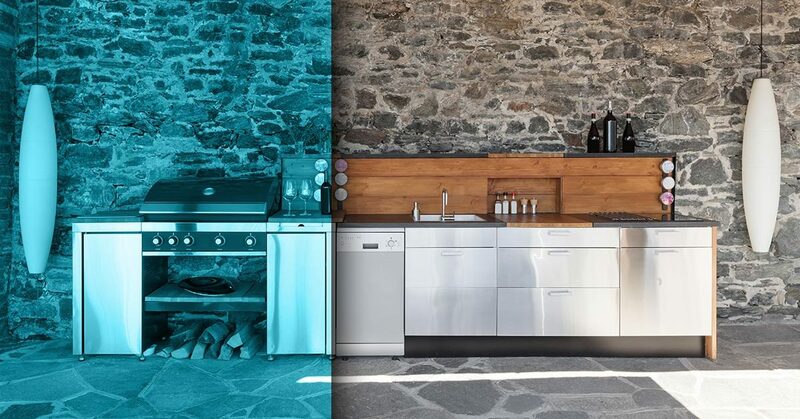 You’ll be able to work with professional outdoor kitchen designers to customize the layout, choose which appliances you want, and incorporate all the elements you need to comfortably cook grill-side. Another benefit of having an outdoor kitchen is the ability to entertain and cook for guests right in your very own backyard! When food is grilled out on the deck, guests may gather and interact around the grill as dinner is being cooked. It may get congested in an indoor kitchen when everybody hangs out with the cook; but, in the backyard, there is much more space. It’s no secret, not only does grilling enhance the taste of food, this cooking technique is healthier for your waistline, as well. You’ll have a reason to try fresh and healthy recipes that come with the warmer weather, like grilled corn on the cob, grilled pork chops, or grilled salmon; to name a few. At Compass Outdoor Design, we believe that grilling is a way of life here in Texas. Why should homeowners settle for a stand-alone grill when they can have a custom designed outdoor kitchen that lets them get the most out of their backyard. If you are interested in adding an outdoor kitchen to your backyard, contact our Dallas patio contractors today!